Noodles are the pride of Vietnamese people; we have hundred kinds of noodles in 54 provinces and cities. 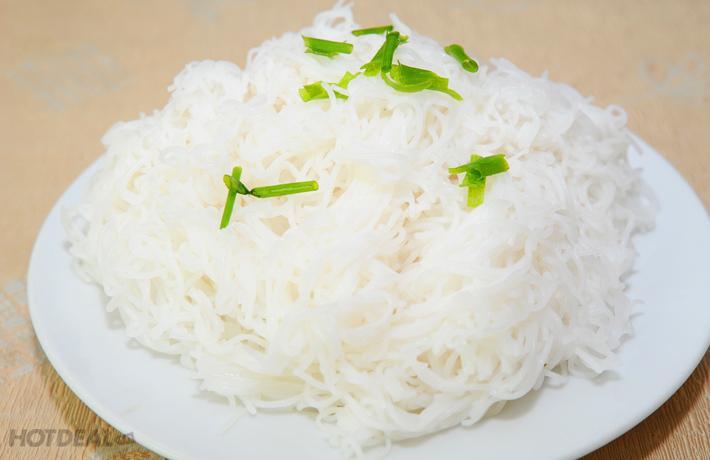 They mostly are made of rice but with different shapes, taste, color and way of usage they will have different name. “Bun” is a popular choice of noodle all over the country. There are two kinds of“ Bun” using in “ Bun dau mam tom” ; one is bundle up and shaped into small piece like small, flat cookies. We call them “Bun mieng” in which “mieng” is for the shape of the noodles. The second kind and less favor one is the normal noodle that we usually use. They are used only when Vietnamese people can’t find “bun mieng” for the dish. However, the taste is the same of fresh feeling in the mouth. “Dau” is tofu in Vietnamese language. 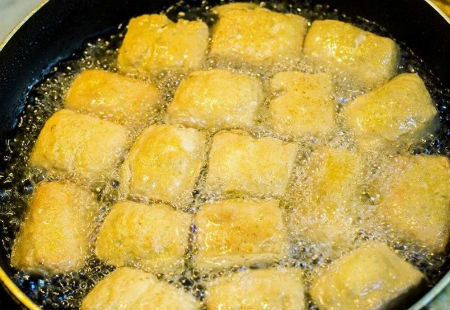 We deep fry it in boiling cooking oil just enough for the outside to be crispy yellow and the inside still juicy, soft and white color still. It tastes the best when just freshly fry and still hot. The smell and playful color will attract your eyes immediately. 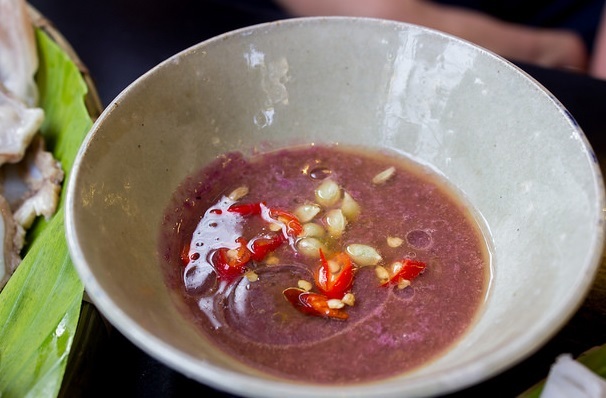 “Mam tom” is a fermented shrimp sauce that Northern Vietnamese people love so much. You can easily acknowledge the present thanks to its strong and not so much good smell and the color of purple. 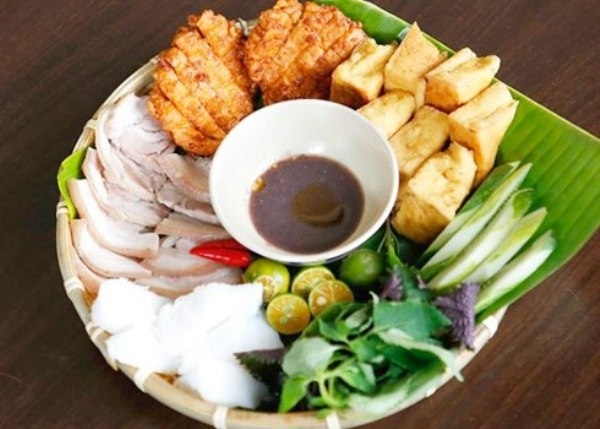 Northern Vietnamese people use “mam tom” in a lot of dishes and you may not recognized it when tasting since they have been mixed up in the broths already. 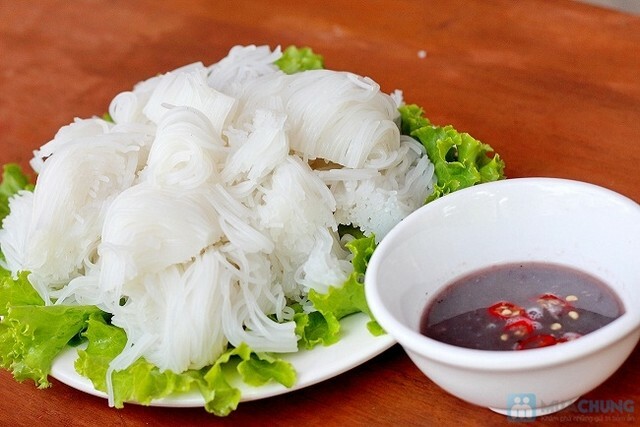 I can name here some famous dishes like “Bun Thang” which is Hot rice noodles, “Bun rieu” which is Crab meat noodles, “ Oc chuoi dau” which is snail stewed with fresh banana and tofu. Asides from noodles, shrimp paste and fried soya cheese, Vietnamese people love to have some pork meat or sausages too. 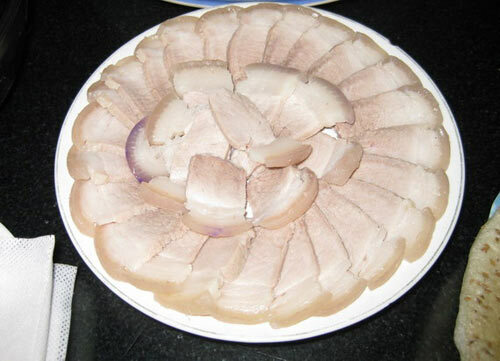 So you can easily spot thin sliced boiled pork and green rice sausages in the portion of “Bun dau mam tom”. Of course everything goes perfectly together in your mouth after dipping a little bit of each thing to shrimp paste. The first name that pops up when it comes to ‘bun dau’. Phat Loc has been the high street ‘bun dau’ among others. 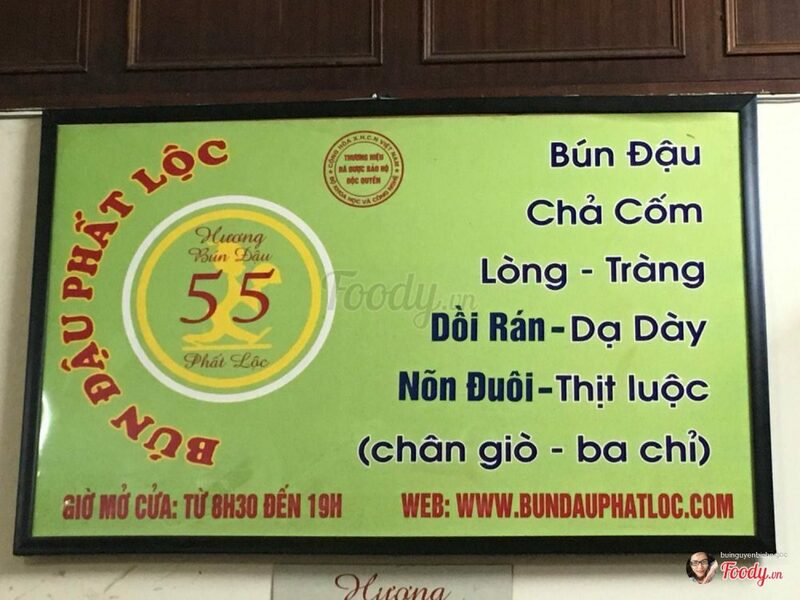 Sitting in the Old Quarter, Phat Loc Alley is the most reachable for anyone craving for a ‘bun dau’. 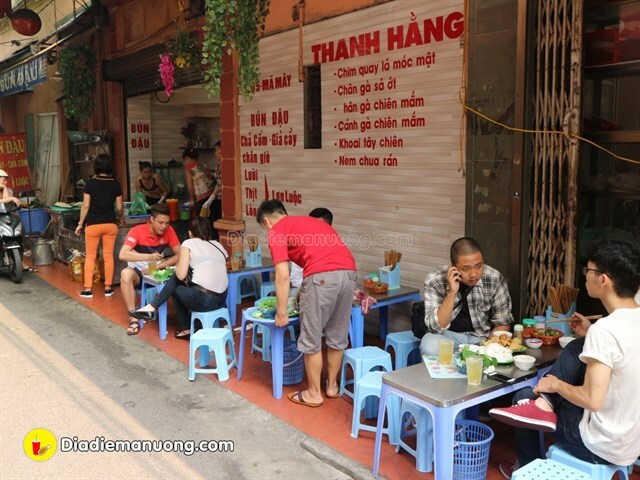 With a length is less than 100 meters, Phat Loc alley is always crowded, especially, having many delicious dishes in the afternoon, including the most popular is noodle with fried tofu and shrimp paste. Entering into this small alley, you will see vermicelli stores along two sides. Another rival from the Old Quarter. 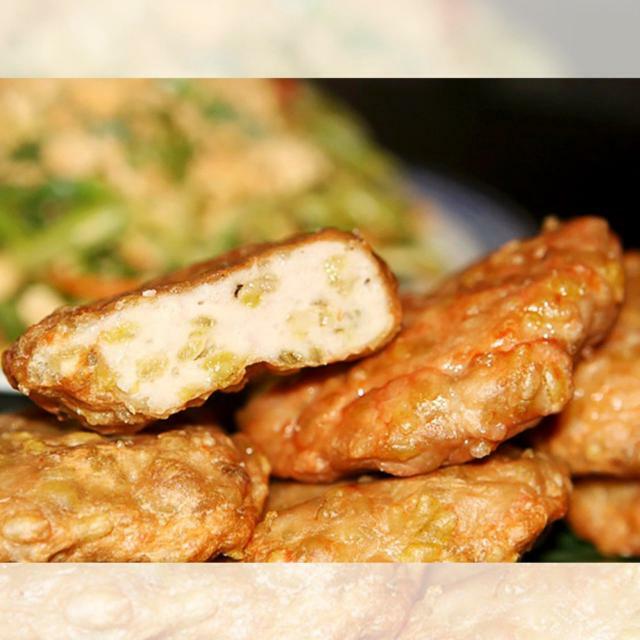 Ma May boasts two ‘bun dau’ shops facing each other, both offering lovely crunchy fried tofu and bubbly shrimp paste. You can even choose soft or crispy tofu. They say that the best shrimp paste, when stirred with oil, makes an airy soft mixture. 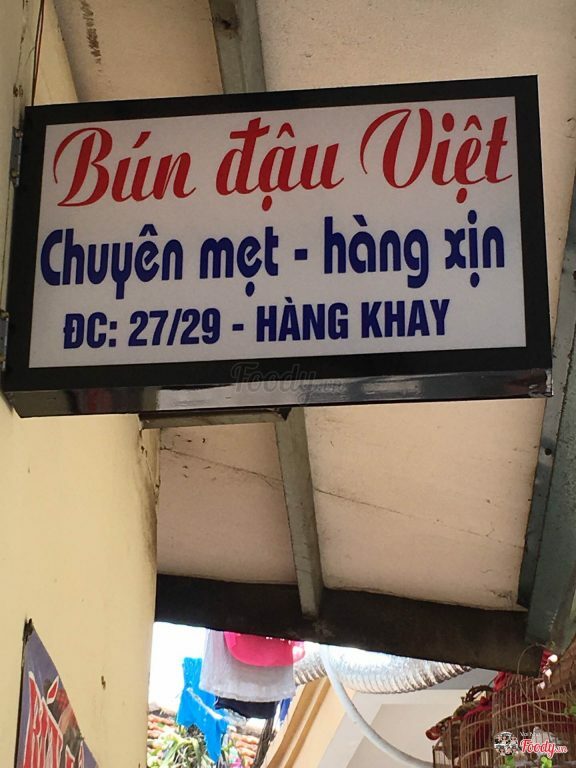 That’s exactly what the ‘bun dau’ place at Hang Khay offers. The cost is about 4.5 dollars for 2 people in Hanoi. You will have the full portion of noodle, fried soya cheese, shrimp paste, thin sliced pork and green rice sausage. However the price will be doubled or tripled when in Saigon since they consider it special dish from Hanoi and they claim to bring the shrimp paste all the way from Hanoi for the dish. 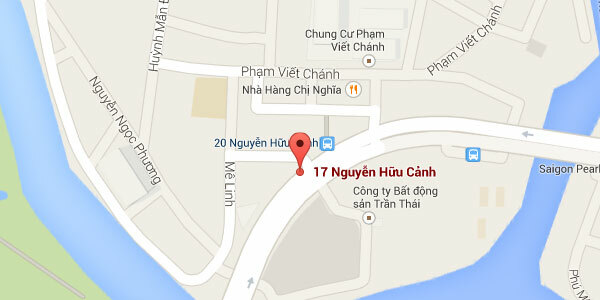 That’s why for 2 person in Saigon, it will cost about 7 dollars.